I had a goal in mind for March. 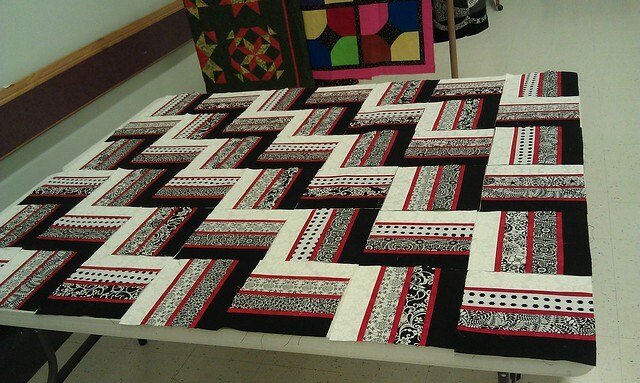 It would be so great if I could finish up my pinwheel sampler in time for the Quilt retreat back home, wouldn't it? 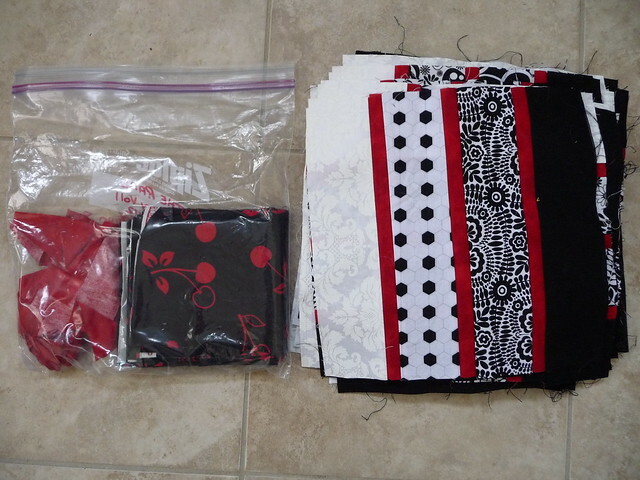 I even received my order from Mad About Patchwork this week. 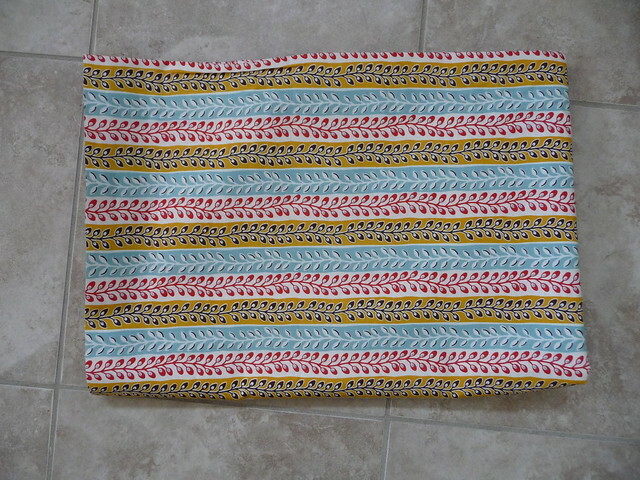 So I even had my backing fabric for it. 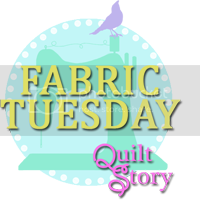 The quilt top is made with Flea Market Fancy and I'm thinking the turquoise stripe would be just what I was looking for. 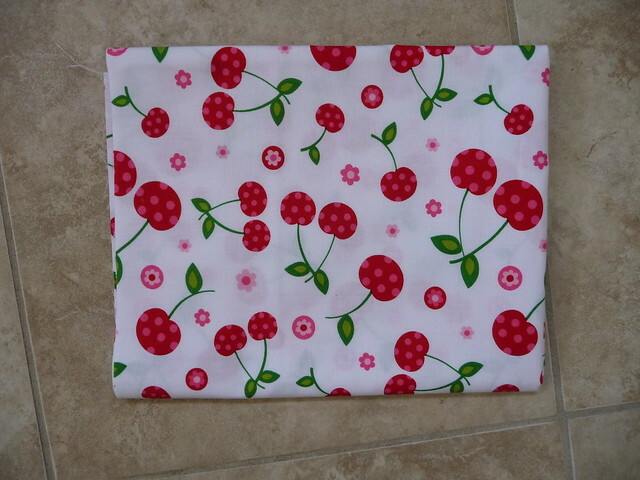 My order also came with a half yard of this because I liked it. I have no idea what I'll use it for, but it's awfully cheerful isn't it? Plus, I never have enough fabric with a white background. But then I was chatting with a friend on Facebook. She found out earlier this week she has cancer and she goes for surgery next week. Last fall, I started work on this quilt during a quilt retreat. 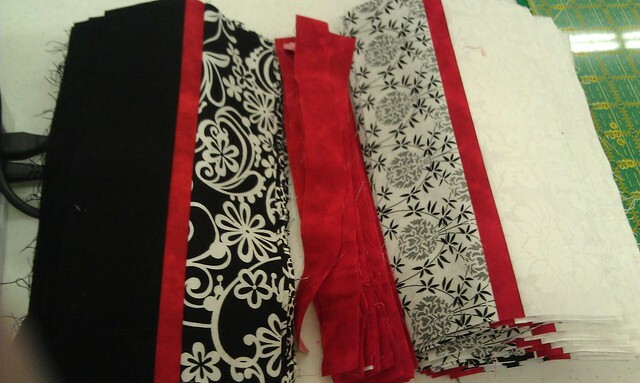 I got all the blocks done, but they need to be trimmed and sewn together. And then I have red and black and red borders to be added. I'll be honest, I'm not sold on the hexagon print in this quilt. Everything else is organic rather than geometric, but whats done is done. Anyway, the thing is this quilt was in my mind for her. And now that she's undergoing surgery, it's moved up the list significantly. I'm not sure I can get it done and mailed off to her as soon as I'd like, but I would like to have it done by the end of March. Worst case, I deliver it in person over Easter. I hope you are able to get it done in time for your friend, she will be in my thoughts. I like the hexagons - from afar they look like a polka dot. :) I'm so sorry to hear about your friend, I'm sure she will love this quilt. That will be lovely to give your friend, then she can be wrapped in love and kindness. Hey there! I've tried to email you, I'm hoping you're just too busy...I accidentally deleted the email you sent me with your address for me to ship the needle book and pincushion you won. I am so sorry! Could you please email me (mayhem5@softhome.net) your information so I can get it posted to you asap!